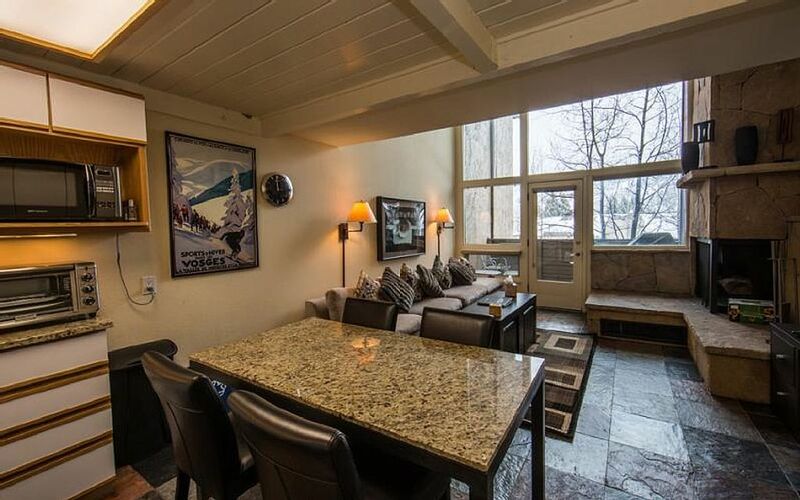 An open sunny loft with floor-to-ceiling south facing windows looking out to Vail Mountain, this is the perfect mountain getaway. 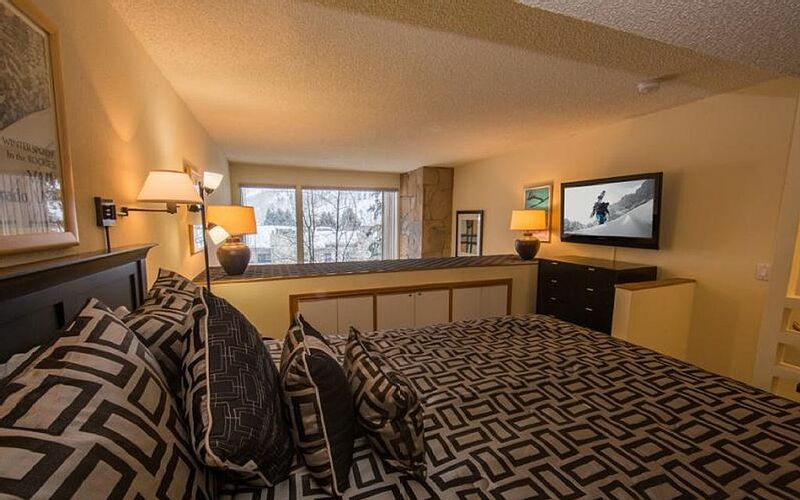 The condo sleeps up to 4 people with a queen size bed in the loft and a queen size pullout couch in the living room, both with flatscreen TVs. 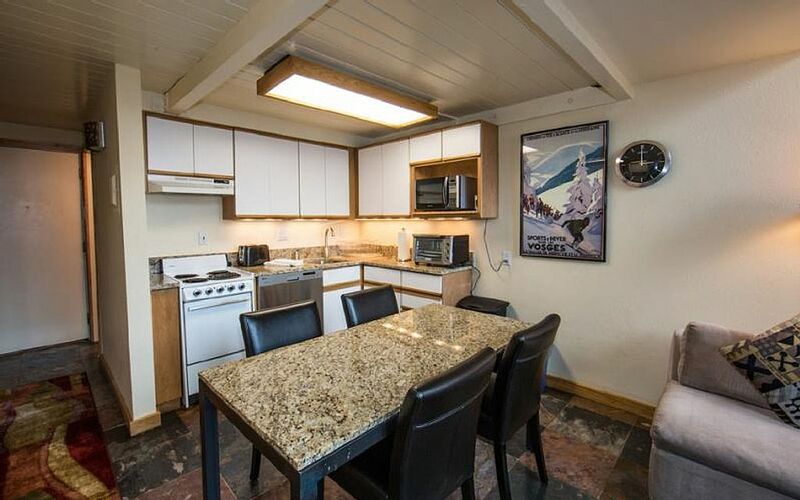 Updated and recently remodeled, the loft has slate tile floors, a stone fireplace, new furniture, BBQ grill on the deck, ample parking, and a fully stocked kitchen. 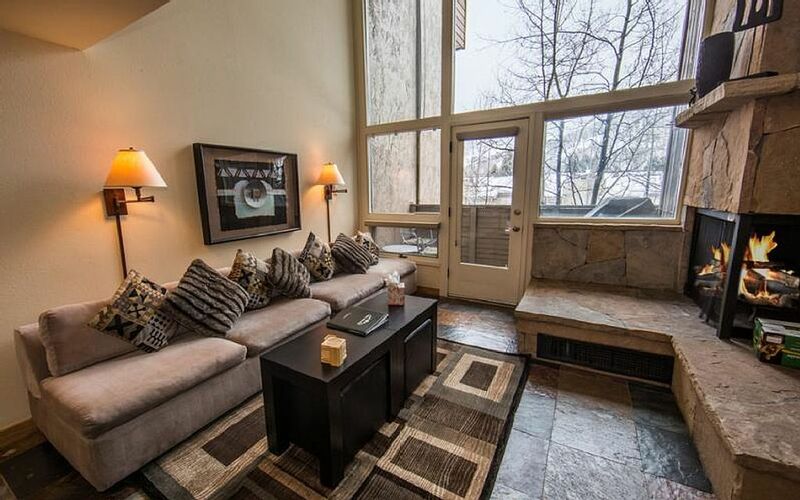 Located in the Sandstone neighborhood, you are just steps aw...ay from a free in-town bus stop that gets you to Vail in minutes, or you can walk to Lionshead in 15 minutes via the pedestrian bridge. There is also great access to summer and winter hiking trails from multiple trailheads, some within walking distance. 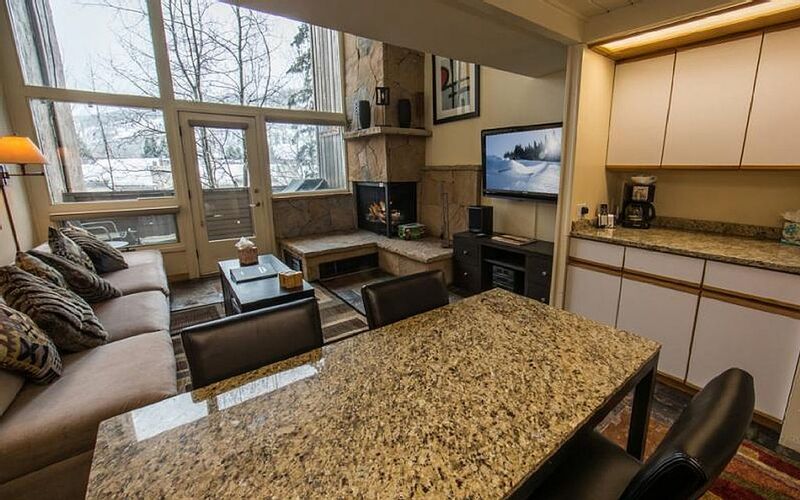 There is a well equipped kitchen with plenty of room to cook a meal, or grab some takeout from nearby restaurants to bring home after a day of skiing. 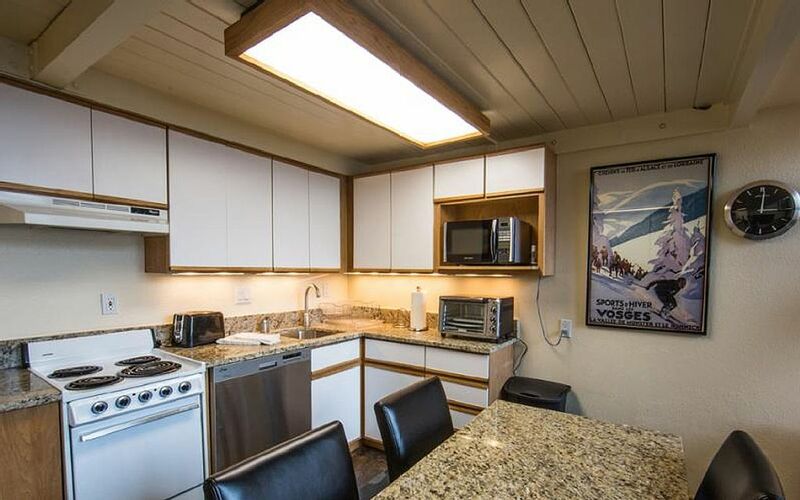 Complete with most common kitchen appliances (toaster, blender, crock pot, range/oven, microwave) and utensils. 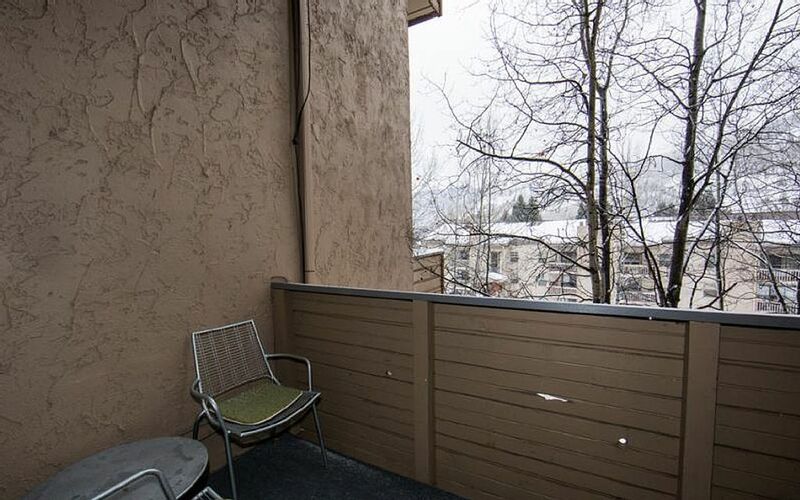 There is ample room for storage in the multiple dressers, closets and drawers around the condo and a ski rack on the balcony to store your wet or snowy skis until the next day. Unlike many other units in this building, the entrance is directly adjacent to the parking lot. 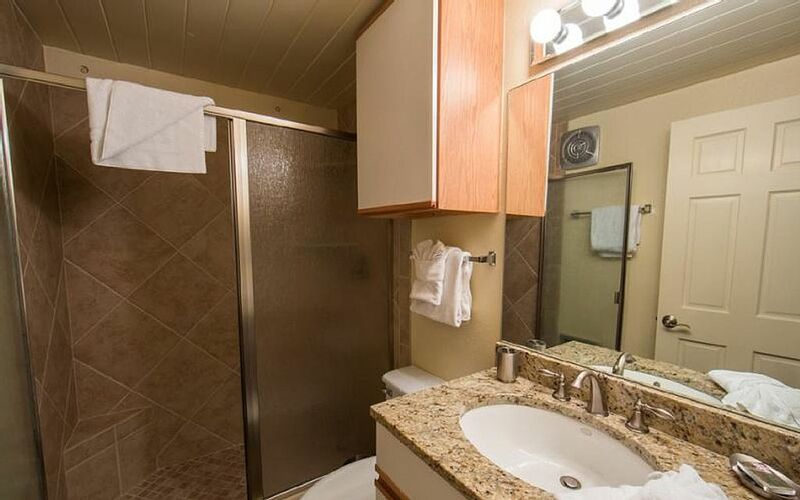 No need to haul heavy gear and luggage up or down stairs, it is just a few steps from your parking spot.